You don’t have to be an environmental enthusiast to see the value of making your home more environmentally friendly. Greening up your home is not only good for the planet, it can be great for your bank account too! The facts are simple: the less energy you use, the more money you can save. Each and every green improvement, no matter how big or small, has an impact on your energy bill. The idea of doing a complete green renovation may be intimidating though. Fortunately, there are several little things you can do to green your home, without spending much time or money. Energy-efficient upgrades can even pay for themselves in energy costs over time. You probably already know to turn the lights off when you leave the room, but did you know you could save even more energy by switching out the light bulbs? Energy-efficient LED light bulbs can last 25 times longer and consume 75 percent less energy than incandescent bulbs. Unlike other eco-friendly light bulbs, LEDs light up immediately and instead of completely burning out, they begin to dim (though it is going to take a long time for you to see that happen). Cleaning products can be full of harmful chemicals that can harm you and the environment. Look for cleaning products that are labeled as eco-friendly, and monitor what cleaners you use around your home. If you want to save money on green cleaning supplies, you might consider making your own products. Simple ingredients such as baking soda, lemon juice, vinegar and soap can make very effective cleaners. Best of all, they are inexpensive to make and are harmless to you and your home. This may be the most expensive tip on this list, but the savings could well be worth it. Old appliances use way more energy than they really need to. New, energy-efficient models help to conserve energy consumption and can reduce your carbon footprint. If you can only afford to replace one appliance, get rid of your old refrigerator! Since your refrigerator must be running day and night, is uses a constant supply of power, which adds up when you pay the bill. Switching to an energy-efficient model could save you 15 percent of the costs! Plus, you may be able to get money for your used refrigerator. Check with your utility to see if has a recycling program that will haul away and pay you for your old appliance. Stop letting air escape from cracks around your windows. 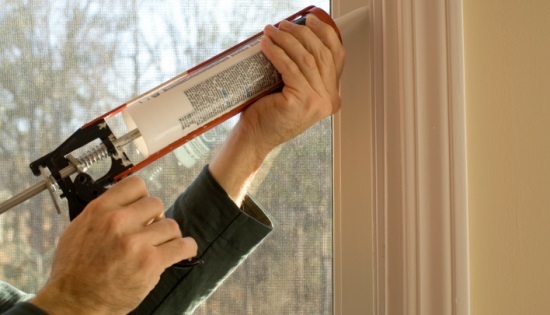 Seal up any air leaks with weather stripping or caulk. This inexpensive and easy solution could help cut your heating and cooling costs. Heating and cooling costs make up the biggest portion on your energy bill. If you are looking to make your home more energy efficient or are just trying to cut back on expenses, a programmable thermostat is a great tool to help you manage the temperature of your home. Basic models allow you to create a temperature schedule. For example, you may program your air conditioning at a higher temperature while you are at work, but a cooler temperature in the evenings when you are home. This way it uses less energy when you’re not actually using it. More advanced models even allow you to control your thermostat from your phone or tablet, so you can change your settings even when you’re not home. Adding insulation to any structure can help improve its energy efficiency. Even if you have a brand new home, you can cut energy costs by ramping up your insulation. The attic is the easiest place to add to, but loose-fill or spray foam insulation can be installed in your walls without an extensive renovation. Switching out the fixtures in your kitchen and bathroom with low-flow options can help you save on your water and heating bills. Low-flow fixtures use significantly less water than traditional fixtures. For example, a low-flow shower head uses less than 2.5 gallons of water every minute, while a standard shower head can use upwards of 5.5 gallons per minute. By switching, you could save thousands of gallons of water each year. That means you have to pay less water and could reduce your water heating costs by 50 percent!